Get 10% discount* on your next booking by refering your friend. Book My Ad now brings to you a unique Programme - Refer A Friend. As a token of appreciation, you will get 15% discount on your Next booking. 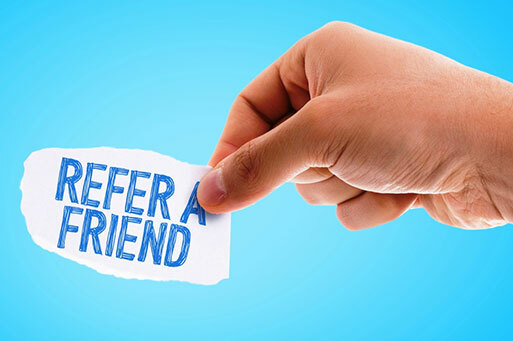 Refer a friend from your contact list to us by filling the form below. Ensure that your information is duly filled in. A discount of 10% on your ad booking will be provided to you for a period of 10 months post successful activation of service at your friend’s premises and the subscription amount paid along with the Subscriber Registration Form is realized. The referred Customer should remain on Book My Ad for at least 10 months. This is a limited period offer and Book My Ad reserves the right to withdraw the offer anytime without prior intimation.